When a parent won’t support their child’s dream, hearts get broken. The story has become somewhat of a trope, where children end up going to school for finance when all they ever wanted to do was teach music, giving on their dreams to go into a field that they hated all because their parents discouraged them. One such girl, a 10-year-old artist with dreams of designing apparel. 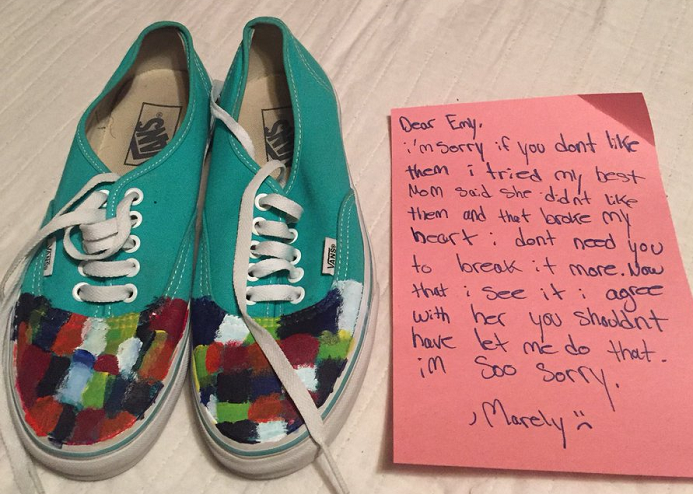 She asked her older sister if she could paint her teal shoes…but mom wasn’t thrilled with the end result. Marely was ashamed of her art, but her sister knew that encouraging her sister’s dream was important. Emely took a picture of her sister’s apology and posted it online. She wanted to share just how terrible her sister felt after their mother put her down…and the post went viral. Strangers liked the design, and even a major shoe company retweeted her artwork in approval! It was quirky, original, and fun. 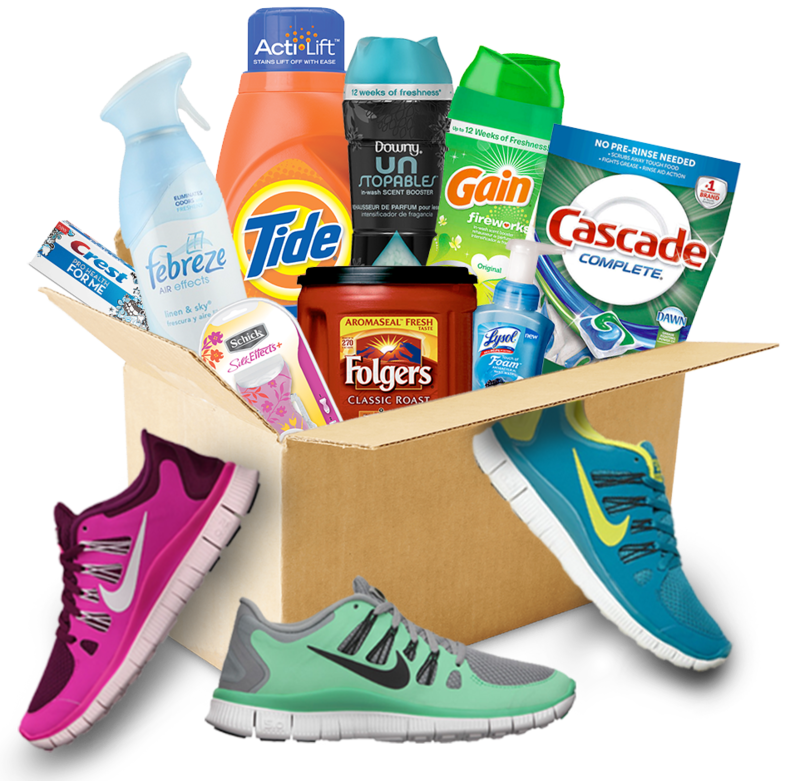 People began to order custom shoes from her, and others donated supplies that would work on fabrics! 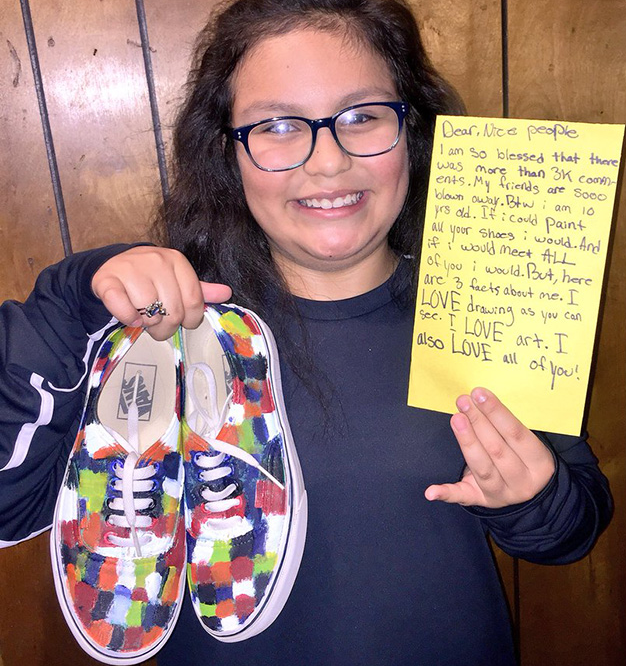 She was overwhelmed by how many people were showing off their customized shoes and posted a big Thank You in response. It is very possible that Marely would have given up if not for the kindness of complete strangers on the internet. Being supportive is important, and Emely hopes that her sister’s story will remind others not to give up on their dreams!